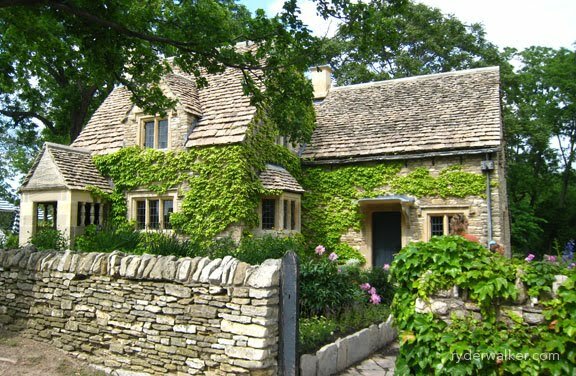 Of all the qualities that make the Cotswolds so precious, it is the collection of limestone cottages that give the region its distinctive character and attract visitors from around the world. Built from the underlying limestone bedrock, adorned with flowers and topped with roofs made of stone or thatch, the cottages resemble something straight out of a children’s book, and some of them are more than 500 years old. 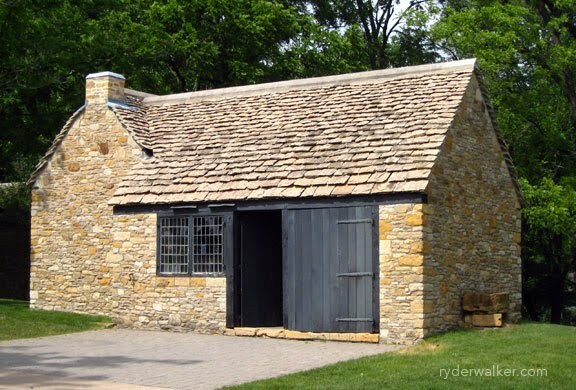 Henry Ford was so enamored with these cottages that he bought one of his own, dismantled it stone by stone, shipped the whole thing to America and reassembled it on his property in Dearborn, Michigan. Ford’s Rose Cottage still stands today, and is one of the oldest buildings in the collection of the Henry Ford museum at Greenfield Village, MI. I had an opportunity to swing by Greenfield Village this past summer, and, as luck would have it, I snapped these photos. 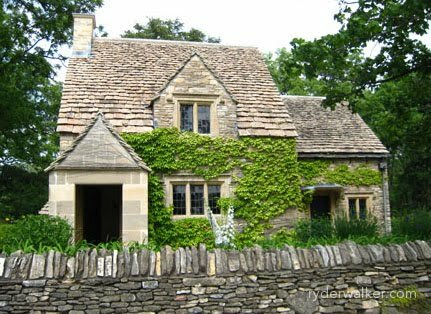 Rose Cottage was built in the 1600’s and resided in the village of Chedworth, Gloucestershire, England. Henry Ford bought the cottage for $5000 in 1930. A similar cottage would probably fetch about one million today and would be officially protected by the UK government. 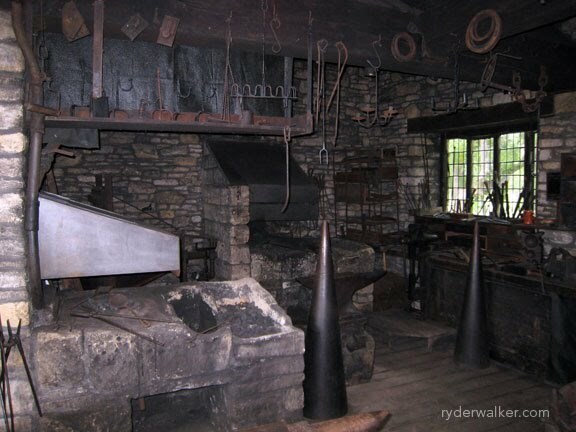 This is a typical Cotswolds Forge, originally built in the early 1600’s and also relocated by Henry Ford to Greenfield Village. This particular forge was continuously operated by a Cotswold ‘Smithy’ for 300 years. Here’s a peek inside the forge. Now imagine 100 miles of tranquil villages comprised almost entirely of limestone retreats like Rose Cottage. What you end up with is something like this. 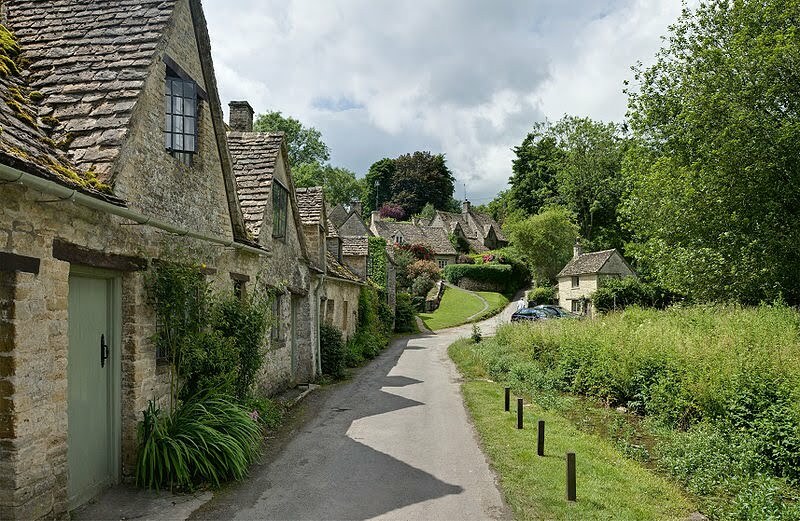 This is Arlington Row, a famous collection of Cotswold cottages in the village of Bibury. (Click on the image to see it up close). Supposedly, Henry Ford also tried to buy this entire row and have it shipped to Michigan. We’re glad that he left these in place. It gives us something to admire as we walk from village to village on our new Cotswolds Way. Truly, to step into the Cotswolds is to step back in time.